A trio of vintage inspired keychain for you & your best friends! 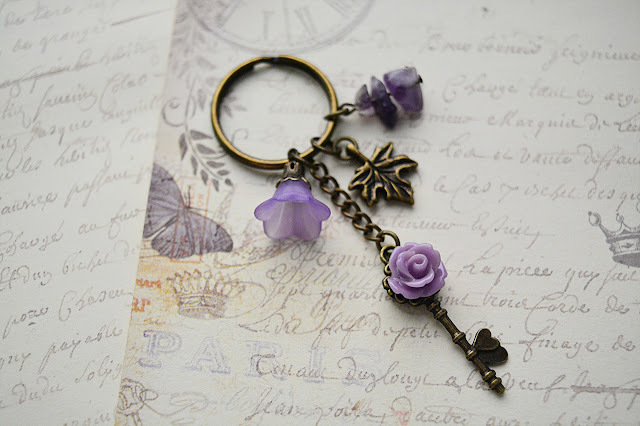 ❤ Spring Floral Keychain In Purple Rose with Amethyst shards, a calming stone which promote calm, balance, and peace. 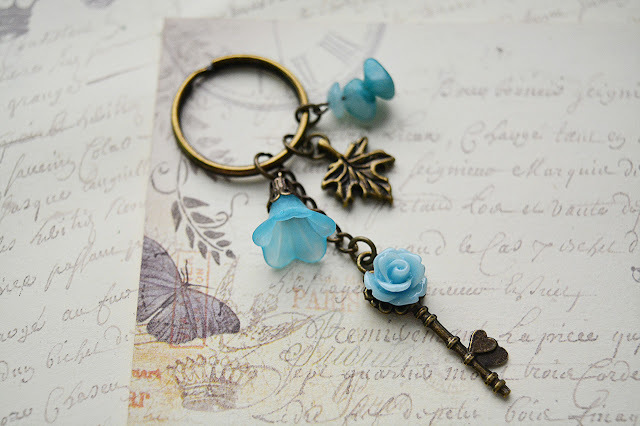 ❤ Spring Floral Keychain In Blue Rose with Amazonite shards, a stone of open mindedness, that enhance intuition. 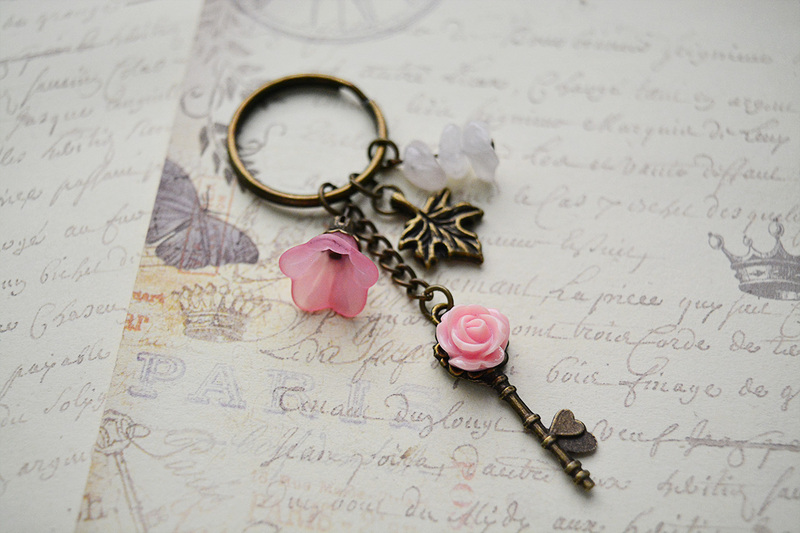 ❤ Spring Floral Keychain In Pink Rose with Rose Quartz shards, known as the stone of unconditional love, giving one a sense of inner peace and love for one's self. 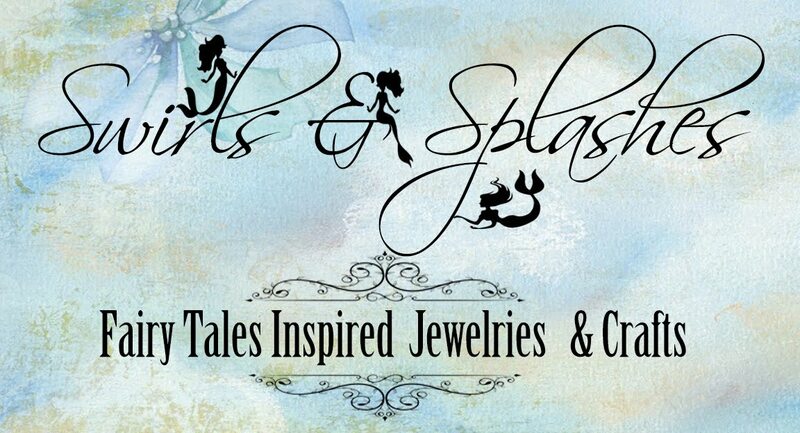 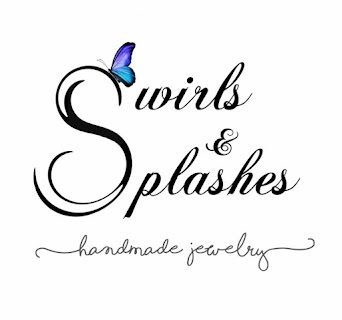 Each keychain is adorn with Maple leaf charm, a symbol of peace, connection & unity. 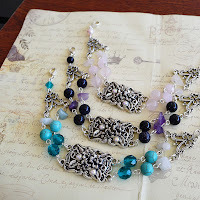 Lastly colourful bellflowers charms are added for a whimsical look. 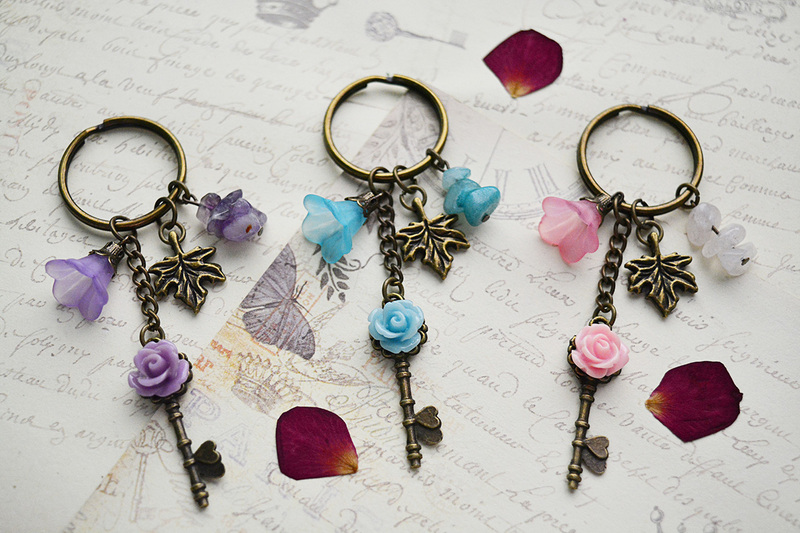 Overall the keychain measures 8.2cm in length.